The difficulties facing Saudi Arabia and its proxies in Syria should not be conflated with any significant new advantage being enjoyed by their rivals in Iran, writes Joseph Benzekri. Saudi Arabia, alarmed by the rapid thaw in Iran’s relationship with the West and gains recently made by Syrian regime forces, seems to have decided that acting as the Sunni Arab world’s financier will not be enough to secure imperiled regional interests. Having taken the lead against Shi’ite Houthi rebels in Yemen, Saudi Arabia took another step toward acting as an independent military power when it formed a 34-nation military alliance against “terrorism” last December. Responding to calls that the wealthy Gulf monarchies do more in the fight against jihadist groups like the Islamic State, the new alliance should, according to Defense Minister Mohammed bin Salman, coordinate efforts against extremists in Iraq, Syria, Libya, Egypt, and Afghanistan. Perhaps unsurprisingly, Saudi Arabia’s multinational initiative is not limited to the Arab world but is a wide-reaching Sunni effort. Despite pledging to combat extremism in Iraq and Syria, Riyadh’s adversaries in Baghdad and Damascus—and their patrons in Tehran—have clearly been left out of the arrangement. Instead, the new alliance includes established Saudi partners such as Kuwait, Egypt, and the United Arab Emirates but also countries as far away as Senegal and Malaysia. Far from entering into perfunctory agreements, the Saudi defense establishment has been deepening its ties with these partners over the past several months. In late January, Mohammad bin Salman signed a memorandum of understanding with his Malaysian counterpart on cooperation in the “scientific, technological and industrial fields for national defense purposes,” which comes in addition to an intelligence-sharing agreement last September. Malaysia is also expected to take part in major military exercises, dubbed “Thunder of the North,” to be carried out in Saudi Arabia with the participation of 21 countries. The Saudi strategy of looking beyond the Middle East to partners further afield predates King Salman, although its objectives have shifted of late. Before Riyadh and Kuala Lumpur were discussing intelligence sharing and training exercises, elements from the late King Abdullah’s entourage donated $681 million to Malaysian Prime Minister Najib Razak in 2013 to help his ruling party defeat an election challenge from opponents who included a party inspired by the Muslim Brotherhood. At the time, the Brotherhood’s growing influence in the aftermath of the Arab Spring gave the Saudi royals cause for alarm, although Iran’s rise has since forced a shift in priorities. The donation later prompted an investigation into Najib’s accounts, although the results cleared the Prime Minister of suspected wrongdoing—all while offering an idea of just how much King Salman’s predecessor feared the mainstream Islamists he now finds himself courting. The ties between Najib and the Saudi royal family have, for their part, remained unchanged; the Malaysian leader made a three-day visit to Saudi Arabia just last month. 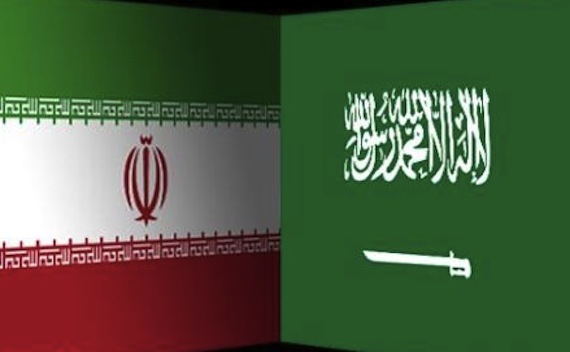 Looking to the other side of the Persian Gulf, the difficulties now being faced by Saudi Arabia and its preferred proxies in Syria should not be conflated with any significant new advantage being enjoyed by their rivals in Iran. The bluster directed at the Saudi military’s Syria initiatives by Islamic Revolutionary Guard Corps (IRGC) Major General Mohammad Ali Jafari, for example, are just that: bluster. Jafari is a key figure in Iran’s military engagement in support of Bashar al-Assad in Syria, but the Iranian commander’s comments speak to his corps’ overreliance on irregular units and asymmetrical fighting (which Jafari himself would term “resistance”) instead of conventional ground forces. The Iranian general went on to describe the Saudi armed forces by stating: “they (the Saudis) have a classic army and history tells us such armies stand no chance in fighting irregular resistance forces.” Unfortunately for Jafari, his own force’s recent experiences in both Syria and Iraq demonstrate that Iranian-backed “resistance” forces have not fared well either. The IRGC’s philosophy of “popular mobilization,” as institutionalized by the Basij Resistance Force and engrained in the Iranian psyche by the Iran-Iraq War, has been exported in support of both the Shi’ite-dominated government in Baghdad and the Ba’athist Alawite regime in Damascus—with mixed results. In Syria, the deepening Iranian intervention that has deployed thousands of Hezbollah fighters, Iraqi Shi’a militants, and Iranian “advisers” since 2012 nonetheless failed to prevent the loss of practically all of northern and eastern Syria (with the most highly publicized of recent setbacks including the fall of Palmyra last May). Even now, gains being made by a bloody Syrian government offensive in Aleppo have been enabled not by Iranian assistance so much as Russia’s five-month-old aerial bombing campaign. Launched at a time when the regime’s forces were rapidly losing ground, Moscow’s airstrikes and overt military support for Assad have weakened rebel groups backed by the American-led coalition (while killing at least 1,000 civilians since September of last year). In one respect, at least, Russia has emulated Iran’s Syria strategy: in both public statements and airstrikes, Russian forces have made little effort to distinguish between Islamic State targets and Syrian opposition forces, seemingly preferring to follow Damascus’s tactic of collectively labelling any and all opponents of Bashar al-Assad “terrorists.” While the links between al-Qaeda-affiliated rebel groups in Syria and state backers in Riyadh and Ankara are rightfully disconcerting, this blanket dismissal of the entire Syrian opposition by Damascus and its allies has enabled the humanitarian catastrophe of the past five years and helped torpedo Syria’s moribund peace process every time it has had a chance to get off the ground. With their recent offer to commit ground troops to the “fight against terrorism” in Syria, the Saudis may very well be trying to take a page out of the Russian playbook. Once their forces are on the ground, the Saudis may well hope they can swing the momentum of the conflict the way Moscow did when it shifted from supplying arms to taking on an active combat role. As Vladimir Putin has demonstrated, claiming to fight ISIS can serve as a valuable pretext for defending one’s own interests in the increasingly convoluted Syrian war. Joseph Benzikri is a Tunisian small business owner based in Paris that has worked in the agro-export business for over two decades. He is also active in North African civil society as an advocate for increased regional integration.